Shouldn't there me more landmarks in honor of children's books?? I love "Make Way..."
This is fantastic! We want to take this trip sometime too. "One Morning in Maine" was one of my mom's and my favorite books to read. I only recently discovered "Make Way". 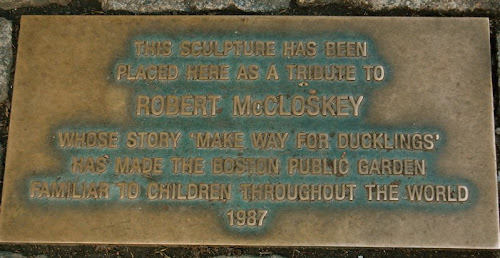 Love Boston Public Garden, agree there should be more landmarks in honour of children's books, and think Rockport is great too, I went from Boston to Rockport by train which was also a treat..
oh.... i'll have to see if we can swing by rockport on the way back down. thanks for the tip!